Alya Vykhodtseva and Viktoria Leonenko are just two of the most active members during Agora Kyïv. 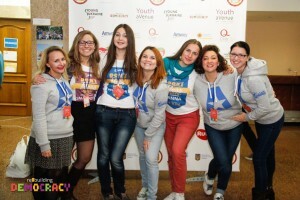 Alya was in the PR team and Viktoria was external communication and University team leader. They both learned a lot from this experience and enjoyed it while doing so. Naturally, because they did an amazing job, they were also nominated for Member of the Month, the Agora edition. So, we thought of asking them a few questions to get to know them better. The AEGEEan: Hello, let us begin by introducing yourselves. Alya: I always thought one could easily meet a person like me in the transports or in the street. No, seriously, I’m just an average student from Kyïv. I study psychology, try to do something else aside from lessons – including performances at the university and recently AEGEE, – and I am quite a regular and simple girl, absolutely the same as dozens of people in our city. I think that’s rather good than bad. 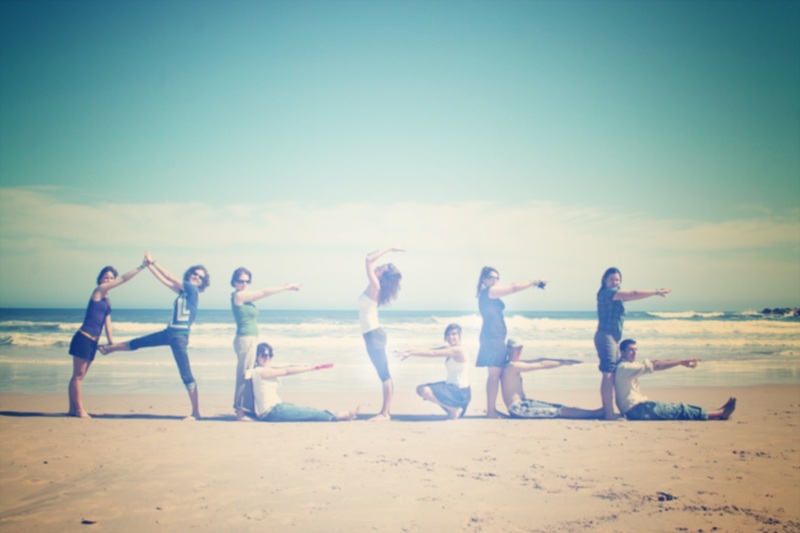 How long have you been members of AEGEE? Viktoria: I joined AEGEE in April 2013, so, it’s almost two and a half years since I am a member of this amazing organisation. 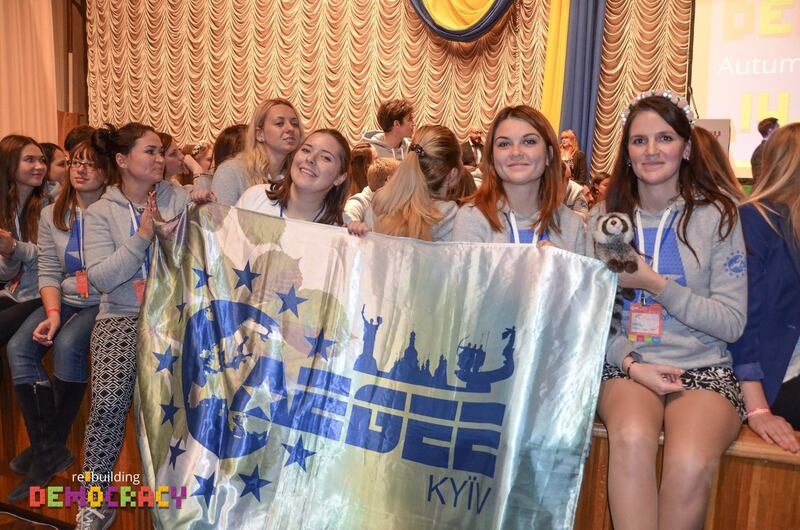 What was your biggest accomplishment in AEGEE so far? 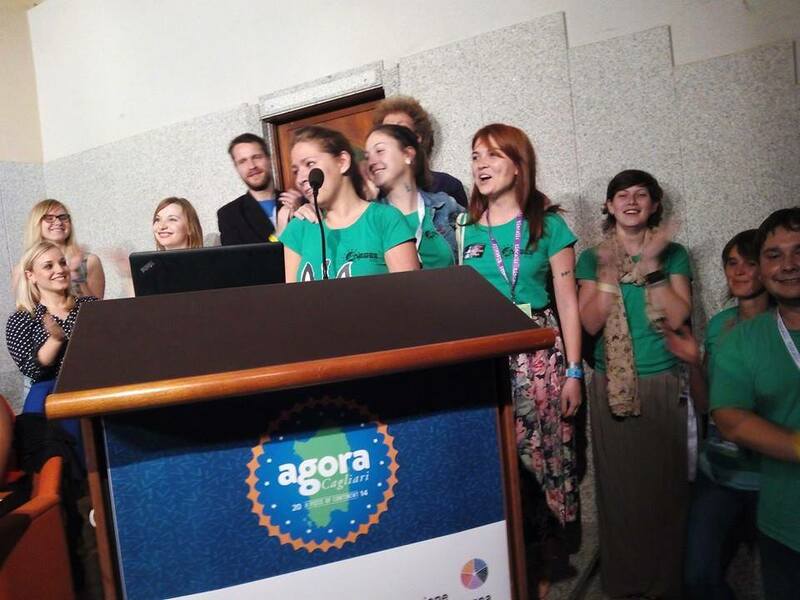 Viktoria: Organising Autumn Agora Kyiv 2015 and the ReBuilding Democracy project. Alya: Then again, I think in future (the nearest future, I believe) I will achieve way more, but for now I already took part in some events, which definitely were a good piece of experience. After the LTC right after my “initiation”, I was a helper at the Ukrainian SU and it certainly exceeded all my expectations. I never thought it would be such a cool thing, and I’m happy it ended up as such. Later I gave a hand with the organisation of a couple of parties and, of course, almost all the time spent in AEGEE I worked for preparation of the Agora and I suppose it is my biggest achievement so far. What were your tasks during the Agora? 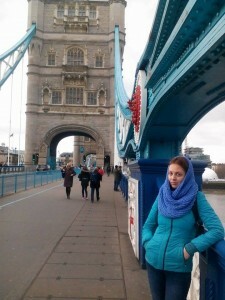 Viktoria: I was External communication and University team leader. So, I was in charge of communication with the government and I negotiated for Agora location (Kyïv National University Taras Shevchenko). 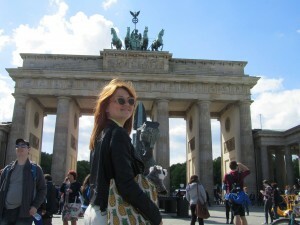 Alya: Since June I worked in the brilliant PR team, which obviously was an amazing experience. Actually I think every team did a lot for the event, and we are not an exception. Moreover, I’m proud that our team was responsible for creating the image of the Agora, and I think we did well. [she smiles] I was also responsible for the page of ReBuilding Democracy project and later, directly before the Agora, I worked in PR at the Agora Fair team, which also turned out to be a group of amazingly warm, friendly and goal-oriented people. So I hope my small contribution to the overall work was one of the bricks which actually built the Agora. What was your overall impression of the Agora Kyiv? Viktoria: We had been working hard during the year and I hope that participants enjoyed what we have done as for us it’s the most important thing. For me Agora happened too fast, so I even didn’t notice how it was and I didn’t enjoy it as before. By the way, Agora is my favorite AEGEE event. To be honest after Agora I had mixed feelings: on the one hand, I felt finally released from Agora’s headache [she laughs] and on the other hand, I felt empty and I realized that I need to change values and start another page in my life. Alya: I had waited for it since the first time I heard about it. And I must admit it was even better than I imagined. Just the fact of hundreds foreigners coming to Kyïv and Ukrainian students coordinating everything seemed almost impossible to me. I’m proud it turned out to be not only possible, but also well-organised and of great quality. Do you have any future plans in AEGEE? What are your future plans in life? Viktoria: I love riding the bicycle, reading dystopian novels, hitchhiking and, of course, travelling!